Star Wars: The Last Jedi was Carrie Fisher‘s final appearance in the franchise and it’s no surprise that Mark Hamill was asked about his longtime co-star while doing press for the film. Carrie, who died nearly a year ago on Dec. 27, 2016, after suffering a severe heart attack on a flight to Los Angeles from England, had completed filming for Star Wars: The Last Jedi before her death. The film is dedicated to her memory. 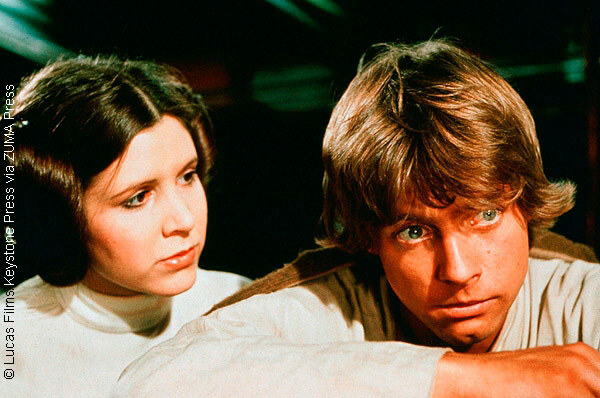 Mark has never been shy about his admiration for his film sister and during this year’s Star Wars Celebration in Orlando, he hosted “Mark Hamill’s Tribute to Carrie Fisher,” during which he remembered the iconic princess. The Illusionists – Live from Broadway is mesmerizing!